After double lung transplant, Lenexa member going strong! After double lung transplant, JoCo woman doesn’t let cystic fibrosis slow her down! LENEXA, Kan. – Most of us make enough excuses for cutting out on a workout or not making it to the gym. But, some people don’t have the opportunity to make time for themselves because a life-changing illness prevents them. Take 28-year-old Michelle Dennis. There are weeks of her life she had to spend in a hospital bed because of her cystic fibrosis. Eventually Michelle needed a double lung transplant. She had been against it in the past. Dennis chose to fight and got the double lung transplant. While she was on the table, she had a stroke. This affects the balance on the right side of her body. “That has really limited me to doing things which is why it’s been such a long recovery. Then in April my lungs randomly failed,” explained Dennis. Her lungs came back, but the rest of her body still has CF. And she still has to get regular checkups. It was her desire to do something for herself that took her back to the gym. “I want to be strong again,” explained Dennis. She regularly goes to Workout Anytime in Lenexa and meets with a trainer a few times a week. “She likes to do cardio. 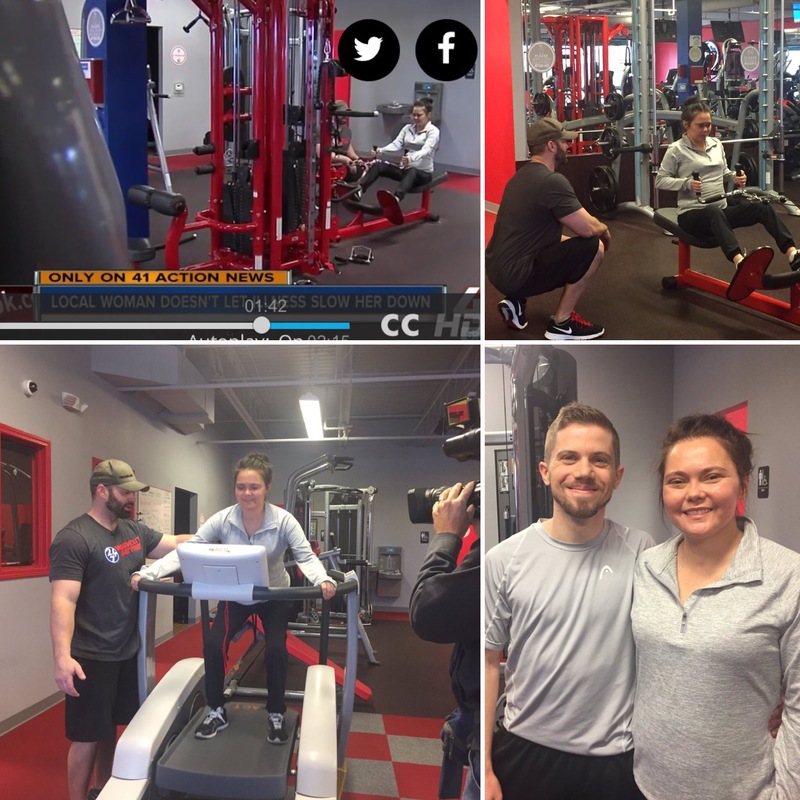 We are trying to make her legs stronger — get her to where she can be walking without being out of breath and losing her endurance and stamina,” said Trevor Strong, trainer. That, along with her second chance, has given her a new outlook on life. “I have new lungs now. I want to use them and run and do those things I could never do before,” explained Dennis.